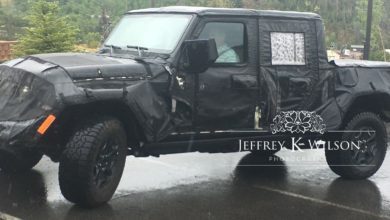 The 2019 Jeep JT Pickup has been spied during tow capacity testing. How do you tell? 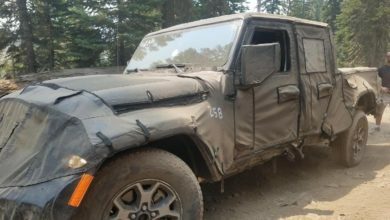 Well, the crazy looking contraption it’s seen towing in the video is hard to miss. 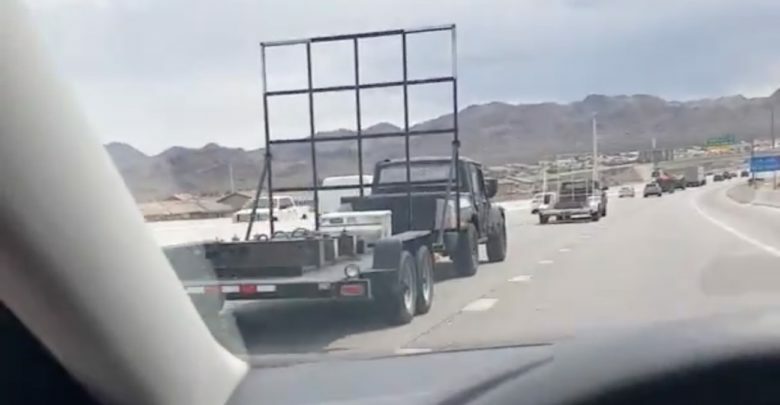 The trailer appears to be hauling weights, but what about that upright metal grid. 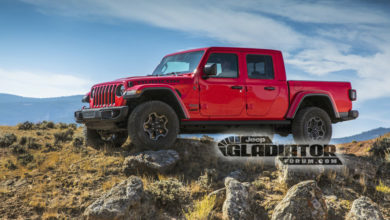 Apparently, they don’t really serve any purpose at all, according to Automotive Test Services, the company listed on the side of the prototype responsible for performing the test. 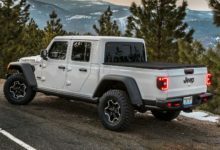 In any case, the takeaway from these photos is that Jeep appears to be serious about the Scrambler’s towing capacity, and that’s music to our ears. 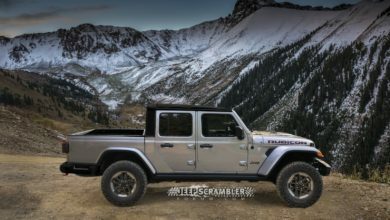 See the full video of the 2019 Jeep Scrambler performing tow capacity testing.